* If you do not have a blog or a way to contact you on your blog, make sure you leave a valid e-mail address in your comment(s) so I can contact you if you are the winner. 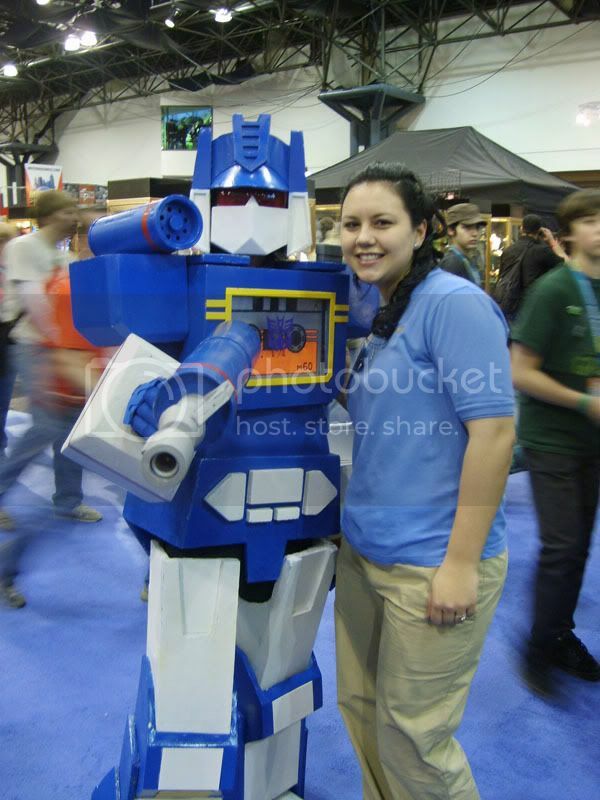 Entry #1: Leave a comment and let me know what your favorite Pillsbury product is ! Extra Entries - #1 must be done first. 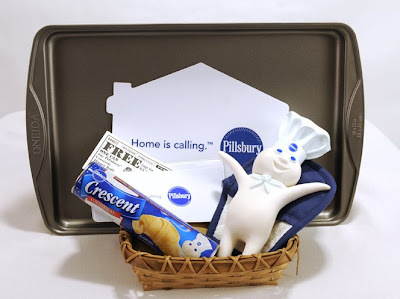 * Blog about this contest with a link to this post and Pillsbury's Home is Calling Campaign! * Forward the Campaign to a friend. When you forward that link, Pillsbury will make a donation to help deliver more than one pound of groceries to America’s food banks! *Follow me on Twitter and post on Twitter about the contest. Three winners will be chosen! *I will be using a random number generator to select the winners. * Contest ends at 11:59pm on Sunday November 23,2008. If the prize is not claimed in 48 hours a new winner will be chosen. *Contest open to U.S. residents only. *The winner will be announced on my blog (and emailed) Monday November 24,2008. Oh wow..my favorite product..but I have soo many. I guess the one thing that I buy more than anything is the pizza crusts. I use those for all sorts of things. I just love pillsbury biscuits! I love their cinnamon rolls. I don't know about the smell (as I don't have one), but the taste is wonderful! Pillsbury grand biscuits! We love them. I love the Crescent rolls. They are so good and we use them in a lot of different recipes. Thanks! We love their crescent rolls. Thanks! I'm a big fan of Pigs in a Blanket, so the Pillsbury Crescent Rolls for me! It's all about the Pigs in a Blanket for me, too - so, defintely the Crescent Rolls! My favorite Pillsbury product is the reduced fat cinnamon rolls with orange icing! I love Pillsbury Crescent rolls. All versions of them! Every single one! Yum! not fair to have to pick one but i love their brownies. when are they going to make an edible "poppin' fresh"?? i see now...let's go with the crescent roles! Grands biscuits are the best! I like the crescent rolls the best. I sent the campaign to a friend! I love the clicking heels wishing they were home, that is what we have always done when we miss my mom! My favorite pillsbury product is probably their crescent rolls. They make so many different dishes yummy and taste great by themselves too. Every holiday they are used somehow to make something good come out even better! I forwarded to my friend Val! I love the crescent rolls! I make ham & cheese sandwiches with them - they are sooo good! My favorite Pillsbury product is their WONDERFUL sugar cookies! So delicious! I hope I win this great prize--I can't wait to start baking for the holidays! My favorite Pillsbury product is their pizza crust. Very versatile and easy to work with! Pillsbury Crescent Rolls - plain with butter, pb&j snackers, piggies in blankies, spinach rolls, ham and cheese roll-ups - yum. The Pillsbury brownies! I just made some yesterday! Pillsbury Cinnamon Rolls, sooo good. I made some for dessert the other day. Pillsbury Grands - full of fat but delicious in all ways. I like the crescent rolls! I can't pick I love them all. My favorite Pillsbury is the orange cinnamon rolls, yummy! Thanks! The thing I use the most is the crescent rolls but the thing I like the best are the cinnamon rolls with gobs of frosting. We love cinnamon rolls the best warm from the oven. Our favorite is the Cinnamon rolls. Not only are they easy to make, they are also delicious. The kids think it's a big treat when I make these for breakfast. Thanks so much for this giveaway! I love pillsbury cinnamon rolls! Yummy! Im following your blog now. I forwarded the campaign video to my mom and sister. The Grands biscuits are very versatile and there's always a tube of those and a tube of cinnamon rolls in the fridge. Favorite product is their Grands Flaky Biscuits. The crescents are my favorite, I like to use them as crusts. Our fave is the Grands frozen cinnamon rolls, you can cook from one to six in your toaster over and there are 3 individual packets of the icing, so we don't have to make a whole tube at one time. Have you tried the pillsbury pizza dough? It's great! We use it all the time. Thanks for a chance to win a great gift!! My favorite item is the Toaster Strudel Pastries. Thank you. By far my favorite is crescent rolls. I could gain 30 lbs in one sitting with these things. They should almost be illegal. I like their cinnamon rolls!! Thanks for your giveaway! I LOOOOOOOOOOOOVE THE GRANDS BISCUITS MMMMMMMMMMMMMMMMMMMMM. It's cinnamon rolls for me. The biscuits that are all flaky and tasty. Cinnamon rolls!! my absolute favorite! i am followingy ou on twitter and have tweeted! I love the crescent rolls. I like to wraps them around little sausages. Crescent rolls are my favorite! My favorite has to be the Ready to Bake Turtle Supreme refrigerated cookie dough. My favorite Pillsbury product is the orange rolls in the tube. But the chocolate twists are heavenly too. You have them in the basket, Pillsbury crescent rolls! I fowarded this to a friend. My favorite is Pillsbury cinnamon rolls. My favorite is probably the cresent rolls. I love to put cinnamon and sugar on the crescent rolls. Well, I'm definitely a child of the '70's, and as such I have eaten my fair share of Pillsbury's refrigerated chocolate chip cookie dough. I love that stuff. I don't even bother to cook it most of the time. Yummo! i love the grands biscuits! and the grands cinnamon rolls! chocolate chip cookies, cooked OR raw! Cinnamon Rolls don't stand a chance in my house! Pillsbury Grands Cinnamon Rolls are my fave, because there's no way to make them without getting some of that yummy frosting on your fingers when you ice them!! Thank you for the contest! Pillsbury already rolled out pie crust-I've been using it for over 20 years! Thanks! crescent rolls! There are so many ways to make them and all are delicious! Orange Rolls. Those things are GOOD!! Love everything but use a lot of the pizza crusts. I love the Cinnamon Rolls! YUM! We love the crescent rolls here...our favorite quick and easy dinner are hot dogs in crescent rolls! Crescent Rolls are my favorite because I can make so many different things with them. The old standby, cake mix, it's a base for other recipes too. My family LOVES the crescent rolls. YUM!!! I don't know if they have anything that is NOT good, but I buy more of the breadsticks than anything else. I love their cresent rolls, I could make a meal of them and butter. I love the biscuits!! I make pizza with them! I like their cinnamon rolls. I like the crescent rolls, because they are very versatile in recipes. I love the crescent rolls! i love the chocolate chip cookie dough. Orange rolls for a special weekend breakfast treat. We love the crescent rolls sooo much! We have those at least once a week. I also use them in quite a few recipes! Thanks for offering this basket..looks awesome...hope I win so I can tickle that little doughboy's tummy..hoohoo..lol! I love crescent rolls and frozen biscuits. I absolutely LOVE the cinnamon rolls, and the orange ones, too!! I love Grand's Biscuits, especially the flaky ones! i love their cinnamon rolls yum! I love Pillsbury products. Does the whole shabang count? Ok, my favorite is Grands Cinnamon Rolls. I love the grand biscuits, but now im getting hungry and its way to late to eat. darn it. My favorite product is the Crescent Rolls. Their cinnamon rolls are awesome! The best! I love their orange cinnamon rolls!! I love their muffin mixes. I love to take the biscuits and make them into monkey bread! Pillsbury brownies are my favorite! I I fowarded to a friend. My favorite Pillsbury product would definitely be their crescent rolls. I use them often to make my family's favorite cream cheese danish or for making weenie wraps. I've also used them to make cinnamon rolls. The PIE CRUST are perfect every time!!! Nothing says comfort food like Pillsbury cinnamon rolls! My favorite product is crescent rolls. They keep forever in the refrigerator, so it's easy to keep them on hand. My favorite Pillsbury product is the Crescent Rolls. The crescent rolls are a huge hit in our family. We all love the Pillsbury Crescent Rolls, but I use their pie crusts a lot. At our home we LOVE Pillsbury Grands Flaky Biscuits, it is always a MUST HAVE on the list for our holiday dinners. 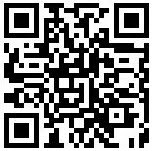 I added your button to my blog, I love your site, very nice ! I am following you and I am signed up on your blog. My favorite Pillsbury product is their pre-made pie crust. It's the secret ingredient in every pie I make. :) It's that good. I followed you and Tweeted about your contest.